Dr Eiko Yoneki is a Research Fellow leading the Data-Centric Systems and Networking Group at the Computer Laboratory. Eiko is also a member of the Cambridge Infectious Disease Interdisciplinary Research Centre, of the Cambridge Big Data Strategic Research Initiative, of the Cambridge Networks Network and of the Centre for Science and Policy (CSaP). Previously, she spent several years with IBM (US, Japan, Italy and UK). 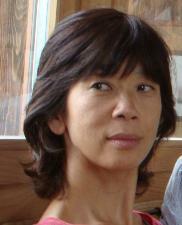 Eiko’s general research interests span distributed systems, networking and databases, including network data analysis. One of her projects is called “Digital Epidemiology”, dedicated to the understanding of human interactions in rural societies of developing countries by applying wireless/sensing technology (human contact/mobility data together with CO2, humidity, etc.) and advanced modelling of respiratory infectious diseases (e.g. TB, measles). Given the high burden of infectious diseases and the resource-driven requirements for optimally targeted interventions in developing countries, Eiko’s research on digital epidemiology provides unique insights into key epidemic and statistical issues that can improve the lives of the world’s poorest 3 billion people. Such findings will benefit the general public, government bodies and NGOs working in healthcare and vaccination through improved predictions and visualisations of the state of infectious disease epidemics, and through advanced methods for controlling and/or preventing such diseases. Her methodology using empirical real-world data for advanced modelling of infectious disease spread can contribute to our understanding of diverse types of diseases. The tremendous potential she sees in combining computer technology and theoretical modelling in collaboration with epidemiologists and local health organisations in developing countries motivates Eiko to contribute to the Sustainable Development Goals through the participation in the Global Challenges Forum.